When evaluating the right business structure you need to consider the likely profitability of the business, the current tax position of all stakeholders and the risk profile of your industry. In some cases you might also need to consider if it will be easier to do business in your industry as a sole trader or company. As a consequence, we often find the business structure is a compromise based on the relative importance of these issues. We will guide you through the decision making process based on your business needs to recommend the most suitable structure for your business venture. This will ensure that your business is set up for success from the start. 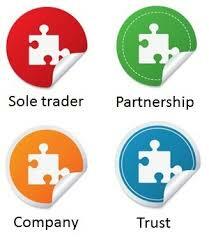 Why not contact us today to discuss your business structure and get your business started.